Swimming is a very popular sport around the world. It is a sport played by men and women equally. The sport is included in various worldwide sports festivals such as the Olympics, Summer Olympics, Asian games etc. There are also separate meets dedicated for the sport alone. Swimming requires a lot of energy due to its rigorous moves. It is also among the top hardest sports to play in the world. Swimmers require a lot of strength and stamina in order to survive in the water for a long period of time. Women generally have lesser energy and stamina compared to men and hence the best female swimmers had to always put a lot of effort to reach the top. Swimmers need to be very particular about their diet since it should be adequate to cover their practice sessions in addition to swimming meets they participate in. There are different styles in swimming such as freestyle, butterfly stroke, breast stroke and back stroke. Some styles require more energy and stamina than the others. However, swimming is a tough sport no matter what is said and done, and there are quite a few who can be named the top female swimmers, who have overcome all of that. Here we take a look at the top 10 best female swimmers of all time based on their dedication and commitment to the world of swimming. 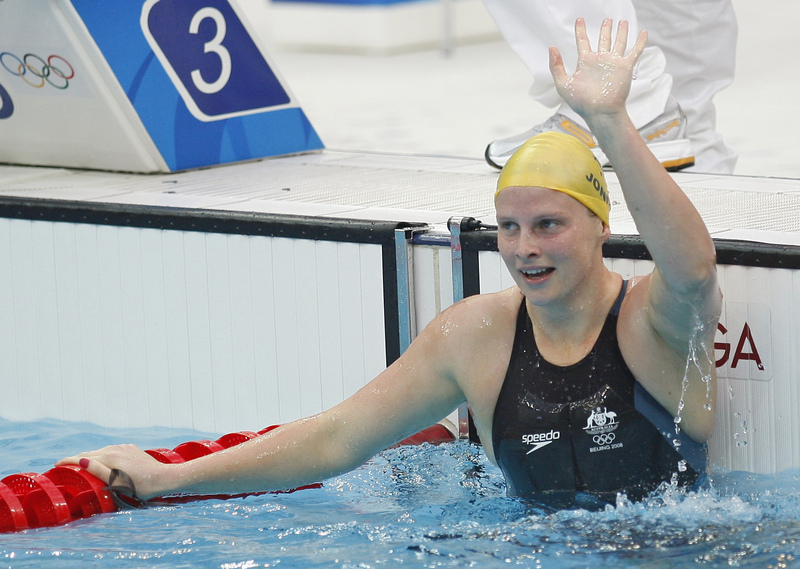 Olympic gold medalist swimmer Leisel Marie Jones was born on 30 August 1985 in Australia. She started her career in the year 2000 at the age of 15. She became the very first Australian swimmer to be part of four Olympic Games. Jones became a gold medalist at the Summer Olympics in 2008 in Beijing for her excellent performance in the 100m breaststroke event. She became the cover face of the Swimming Worlds Magazine when she was named Female World Swimmer of the year in 2005. Jones ended her career in swimming on 16 November 2012.